AkzoNobel is the largest global paints and coatings company and a major producer of specialty chemicals. Its portfolio includes well known brands such as Dulux, Sikkens, International and Eka. Headquartered in Amsterdam, the Netherlands, it is consistently ranked as one of the leaders in the area of sustainability. It employs 55,000 people in more than 80 countries. Alcatel-Lucent is a leader in mobile, fixed, IP and Optics technologies, and a pioneer in applications and services. Alcatel-Lucent includes Bell Labs, one of the world’s foremost centres of research and innovation in communications technology. With operations in more than 130 countries and one of the most experienced global services organizations in the industry, Alcatel-Lucent is a local partner with global reach. The Company achieved revenues of Euro 15.3 billion in 2011 and is incorporated in France and headquartered in Paris. The Allstate Corporation is the largest publicly held personal lines property and casualty insurer in America. Allstate was founded in 1931 and became a publicly traded company in 1993. We are listed on the New York Stock Exchange under the trading symbol ALL. Allstate is widely known through the “You’re In Good Hands With Allstate ®” slogan. As of year-end 2011, Allstate had $125.6 billion in total assets. In 2011, Allstate was number 93 on the Fortune 500 list of largest companies in America. ARINC Incorporated is a $450 million company with a corporate heritage of serving customers in aviation, government, and other industries since 1929. ARINC employs more than 2,800 people at its headquarters in Annapolis, Maryland, and at over 50 operating locations worldwide. Incorporated in Delaware, the company is owned by United States and international airlines and aircraft operators. ARINC supports two major thrusts: Communications and information processing services for the aviation and travel industries, and Systems engineering, development, and integration for government and industry. Atos is an international information technology services company with annual 2011 pro forma revenue of EUR 8.5 billion and 74,000 employees in 48 countries. Serving a global client base, it delivers hi-tech transactional services, consulting and technology services, systems integration and managed services. With its deep technology expertise and industry knowledge, it works with clients across the following market sectors: Manufacturing, Retail, Services; Public, Health & Transports; Financial Services; Telecoms, Media & Technology; Energy & Utilities. Axis Bank was the first of the new private Indian banks established in 1994 and was promoted jointly by the Administrator of the specified undertaking of the Unit Trust of India (UTI – I), Life Insurance Corporation of India (LIC) and General Insurance Corporation of India (GIC) and other four public sector unit insurance companies, National Insurance Company Ltd., The New India Assurance Company Ltd., The Oriental Insurance Company Ltd. and United India Insurance Company Ltd. Headquarter in Mumbai, the Bank has a wide network of over 1,600 branches and 10,000 ATMs, providing 24-hour banking to its customers. The Bank also has a strong corporate banking unit. BNA is the foremost publisher of print and electronic news, analysis, and reference products, providing intensive coverage of legal and regulatory developments for decision makers in business and government. BNA produces more than 200 news and information services, including the highly respected Daily Report for Executives and Daily Tax Report. Headquartered in Washington, DC since 1929, BNA is an independent publisher and the oldest wholly employee-owned company in the United States. Bharat Petroleum Corporation Limited (BPCL) is an India-based state-owned Fortune 500 oil refining, exploration and marketing corporation. Following nationalization, BPCL changed its gears and has embarked upon a rapid growth path. Bank of Baroda is the most profitable public sector undertaking (PSU) bank in India and the second largest PSU bank in total business in India. It is ranked 715 on Forbes Global 2000 list with total assets in excess of Rs. 3,583 billion, a network of 4007 branches and offices, and over 2000 ATMs. Bharti Airtel Limited is a leading global telecommunications company with operations in 20 countries across Asia and Africa. Headquartered in New Delhi, India, the company ranks amongst the top 4 mobile service providers globally in terms of subscribers. In India, the company’s product offerings include 2G, 3G and 4G wireless services, mobile commerce, fixed line services, high speed DSL broadband, IPTV, DTH, enterprise services including national and international long distance services to carriers. In the rest of the geographies, it offers 2G, 3G wireless services and mobile commerce. Bharti Airtel had over 307 million customers across its operations at the end of November 2014. The Boston Scientific Corporation is a worldwide developer, manufacturer and marketer of medical devices used in a range of interventional medical specialties, including interventional radiology, interventional cardiology, peripheral interventions, neuromodulation, neurovascular intervention, electrophysiology, cardiac surgery, vascular surgery, endoscopy, oncology, urology, and gynecology. Cap Gemini Ernst & Young is one of the largest management and IT consulting firms in the world and is publicly traded on the Paris Bourse. The new company combines the resources of Gemini Consulting, Cap Gemini IT Services and, following the recent acquisition from Ernst & Young LLP, Ernst & Young Consulting Services. Colgate-Palmolive (CP) is a $13 billion global consumer products company that markets well-known brands of toothpastes, toothbrushes, bar and liquid soaps, deodorants/anti-perspirants, dishwashing detergents, household cleaners, fabric conditioners, and specialty pet food. It operates in over 200 countries and territories with about 75% of its sales coming from international operations. Its brands include Colgate, Palmolive, Irish Spring, Speed Stick, Softsoap, Ajax and Hill’s. In the United States, Deloitte LLP and its subsidiaries have 57,000 professionals helping clients solve business problems in four key business areas — audit, financial advisory, tax and consulting. Fortune and BusinessWeek consistently rank Deloitte among the best places to works. “Deloitte” is the brand under which tens of thousands of dedicated professionals in independent firms throughout the world collaborate to provide audit, consulting, financial advisory, risk management and tax services to select clients. These firms are members of Deloitte Touche Tohmatsu Limited, a UK private company limited by guarantee (“DTTL”). GlaxoSmithKline is one of the world’s leading research-based pharmaceutical and healthcare companies committed to improving the quality of human life by enabling people to do more, feel better and live longer. Granherne is a leading engineering consultancy specializing in the hydrocarbon based energy industry. It provides trusted solutions in three broad areas: development planning and optimization, project assurance, and technology. Founded in 1919, Halliburton is one of the world’s largest providers of products and services to the energy industry. With more than 70,000 employees in approximately 80 countries, the company serves the upstream oil and gas industry throughout the lifecycle of the reservoir – from locating hydrocarbons and managing geological data, to drilling and formation evaluation, well construction and completion, and optimizing production through the life of the field. Hewlett Packard is a leading technology company offering cutting-edge solutions in the computing, printing, digital imaging, networking, storage, and software services industries. HP is a hothouse for inventors who are really changing the world. HSBC is one of the world’s largest banking and financial services organisations. With around 6,900 offices in 84 countries and territories in Europe, the Asia-Pacific region, the Middle East, Africa, North America and Latin America, HSBC serves around 60 million customers through four global businesses: Retail Banking and Wealth Management, Commercial Banking, Global Banking and Markets, and Global Private Banking. Humana is an American health insurance company based in Louisville, Kentucky. With a customer base of over 13 million, employee size of 52,000, and revenues of about $54 billion, Humana is a leading player in the Healthcare insurance space. IBM is a global leader in the creation, development and manufacture of the industry’s most advanced information technologies, including computer systems, software, networking systems, storage devices and microelectronics. Ingenium Corporation is one of the fastest growing companies in the U.S. serving the Healthcare, State and Local Government, and Department of Defense industries. Ingenium designs, builds, deploys and manages corporate information technology infrastructure, including large scale networks and Internet applications that integrate legacy systems with scalable Internet-based solutions. Ingenium’s team delivers an integrated, end-to-end solution that is closely aligned with the strategic direction and key business processes of the customer. Intel supplies the computing and communications industries with chips, boards and systems building blocks that are the “”ingredients”” of computers, servers, and networking and communications products. These products are used by industry members to create advanced computing and communications systems. Intel’s mission is to be the preeminent building block supplier to the worldwide Internet economy. 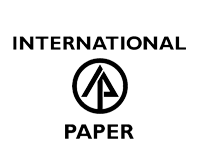 International Paper has significant global businesses in paper and paper distribution, packaging and forest products, including building materials. The company has operations in nearly 50 countries, employs more than 117,000 people and exports its products to more than 130 nations. Sales of almost $30 billion annually are derived from businesses located primarily in the United States, Europe, Latin America, Asia/Pacific and Canada. Lockheed Martin is a customer focused, global enterprise principally engaged in the research, design, development, manufacture and integration of advanced technology systems, products, and services for government and commercial customers. The Corporation’s core business areas are systems integration, aeronautics, space, technology services and global telecommunications. The Mahindra group started with steel business in 1945. Today, it is a $19 billion global federation of companies. The group has presence in 20 industries, including automobile, tractor, and information technology, Headquartered in Mumbai, it operates in over 100 countries and employs more than 200,000 people. Marriott International, Inc. is a leading worldwide hospitality company. Its heritage can be traced to a small root beer stand opened in Washington, D.C. in 1927 by J. Willard and Alice S. Marriott. Today Marriott International has nearly 2,100 lodging properties located in 50 states and 59 countries and territories. The company operates and franchises the broadest portfolio of lodging brands in the world, offering travelers more than 390,000 rooms and ownership villas worldwide. Marriott also manages 153 senior living communities across the United States, provides furnished corporate housing, and operates a nationwide network of food distribution centers. It has approximately 153,000 employees. Founded in 1949, Medtronic has grown to become the world’s largest independent medical technology company. Its mission is to alleviate pain, restore health and extend life. Founded in 1975, Microsoft is a worldwide leader in software, services, devices and solutions that help people and businesses realize their full potential. Headquartered in Los Angeles, California, Northrop Grumman provides an array of world-class technologies and core competencies to military and commercial markets, principally as a leading defense electronics, systems integration, and information technology company that retains strong capabilities in military aircraft systems and modifications,and marine systems. PepsiCo, Inc. serves consumers in two major businesses: beverages and snack foods. The company consists of Pepsi-Cola Company, the world’s second largest beverage company, Tropicana Products, Inc. the world’s largest marketer and producer of branded juices and Frito-Lay Company, the world’s largest manufacturer and distributor of snack chips. PepsiCo brand names are among the best known and our operations reach every corner of the world. Royal Philips Electronics is one of the world’s biggest electronics companies and Europe’s largest, with sales of EUR 37.9 billion in 2000. It is a global leader in color television sets, lighting, electric shavers, color picture tubes for televisions and monitors, and one-chip TV products. Its 192,000 employees in more than 60 countries are active in more than 60 countries in the areas of lighting, consumer electronics, domestic appliances, components, semiconductors, and medical systems. 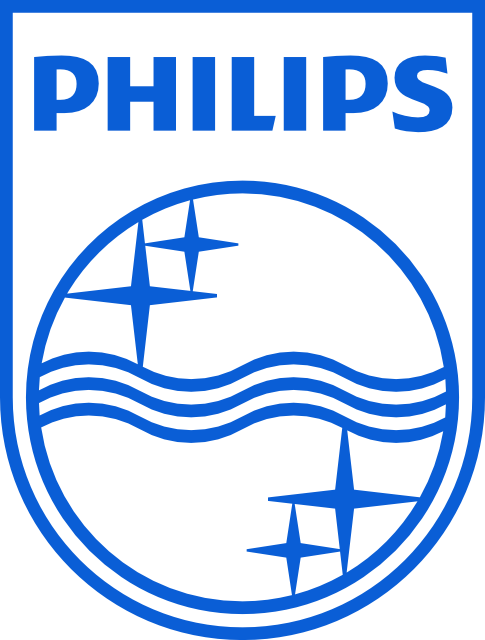 Philips is quoted on the NYSE (symbol: PHG), London, Frankfurt, Amsterdam and other stock exchanges. The Volvo Group is intensively focused on transport solutions for commercial use. Its business areas – Trucks, Buses, Construction Equipment, Volvo Penta, Aero and Financial Services have a strong presence on the global market. Zachry Corporation is a privately-owned construction and materials company with a legacy of success. Zachry has completed more than 5,500 public- and private-sector projects across the U.S. and the rest of the world.